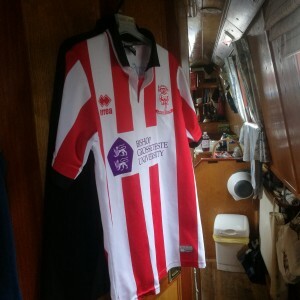 Narrowboating Chick | An Epic Day to Birmingham- True Hacker Style! As yesterday was a bit of a short day, Marcus wanted to get a good start this morning. True to his form, he was awake and about at least 6.30am! I did not hear him moving about until a little while later and was NOT IMPRESSED at the ungodly hour! Marcus however, was on a mission and he was dressed, coffee made and engine started by 7am, with his little sidekick at his side. Me? I stayed in bed! It was nice and warm and soothing with the engine running. When they arrived at the first lock, conscience got the better of me, and I got up, put the bed away and had a shower. 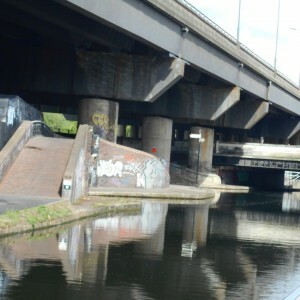 By this time James & Marcus were through the 3rd lock and well on the way to Brum. We passed 2 boats in the opposite direction prior to Farmers Bridge, so we were quite confident that we’d, again, have locks in our favour. Indeed, with a few boats coming down and an efficient crew, we’d had all 13 completed in 1 hr and 10 minutes! 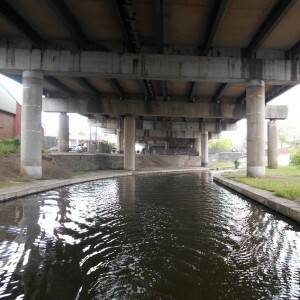 Under the M5 on the Old Main Line. 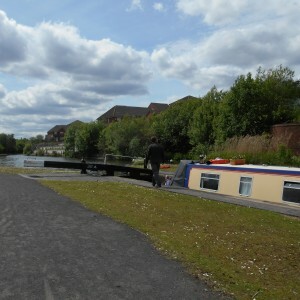 We would have liked to have stopped at Brindley Place for a little while, but it was rather full, so we decided to complete a few loops, Soho and Icknield Loops. 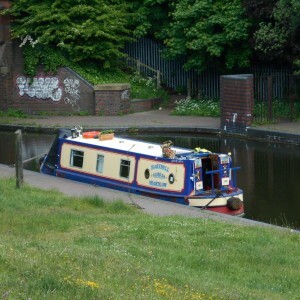 Then, as we had plenty of time, we popped up the 3 locks at Smethwick and on to the Old Main Line. A quick detour down the Engine Arm and a friendly reception form the folks mooring at the bottom. We had a quick bit to eat and although we were tempted to stay the night there, we decided to press on and explore the rest of the Old Line and moor at the end of the Dudley Tunnel. We arrived at about 5.00ish and I’m glad we did, as boat after boat kept on arriving, looking for a secure mooring for the night.